While brushing and flossing are absolutely essential to your long-term dental health, the fact of the matter is that your tools at home simply can’t clean every single surface in your mouth. These hard to reach areas can accumulate plaque over time that easily leads to cavities. That’s why we recommend that everyone age three and up should have at least two professional teeth cleanings each year. 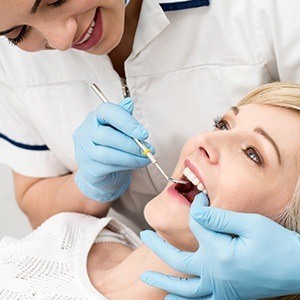 Our hygienists will use specialized tools to remove any plaque and tartar from your teeth and gums, and they’ll even be able to target those trouble spots that we all miss. Has it been more than six months since you or your child’s last cleaning? If so, it’s time to schedule another one, so contact us today!